Whether you're buying for your mother, grandmother or even treating yourself, with Mother's Day looming, we've put together a fail-safe gift guide of items that mums will love and can cherish for a lifetime. Firstly, we've chosen our Turtle-Neck Merino Top as a great Mother's Day gift. It's the perfect layering partner for any outfit and adds a nautical nod with it's chunky stripes. Made from 100% merino lambswool, it will be the go-to turtle-neck she'll reach for time and time again. If you wanted to buy your mum a practical, on-the-go gift, why not treat her to our fun little Circle Bag? Crafted from soft leather and in a great shade of navy, it comes with two compartments so she can keep all her belongings organised. Would she like something for the home instead? Our homeware collection features a wide range of naturally soft throws crafted from merino and geelong, as well as a selection of luxurious sheepskin rugs. 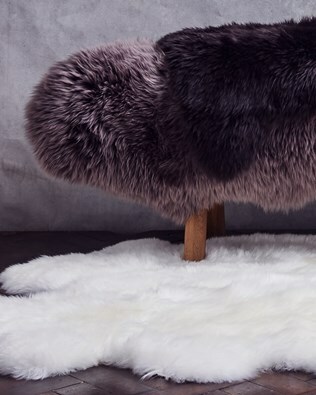 Our favourite is our classic sheepskin rug in vole - an in between grey and beige tone. It's so soft and perfect for draping over chairs, placing next to the bed or in front of the fireplace. 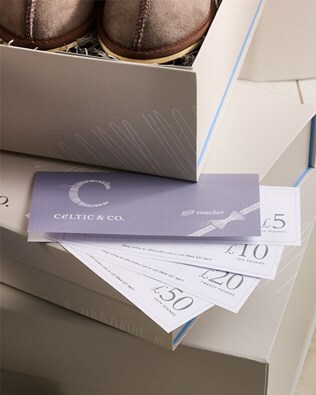 If you're still undecided on what to buy this Mother's Day and would rather leave it to mum to decide, you can always buy her some Celtic & Co gift vouchers. Available in multiples of £5, £10, £20 and £50, our vouchers are supplied in an attractive gift card together with a Celtic catalogue. Mum can then redeem them online, by mail order or in our factory shop. You can't go wrong with slippers, no matter what your style. Comfort comes first at home and busy mums deserve some downtime. 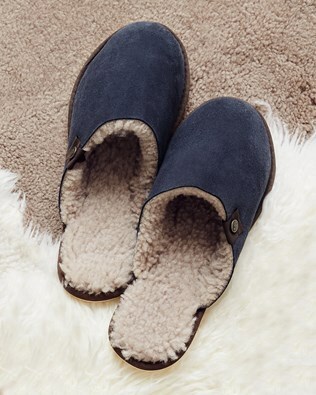 Our handcrafted British sheepskin Mules are just dreamy - made here in Cornwall and available in 10 different colours, just slide them on to feel a little slice of heaven on your feet. Why not try our best-selling Bootee slippers? Always a crowd pleaser, timeless and cosy these ankle height slippers provide year round comfort in a diverse range of colours. Finally, for those fresher evenings ahead we recommend our sheepskin House Boot. 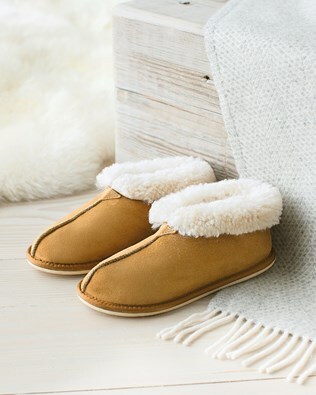 Available in both regular and calf heights, in one classic oatmeal shade, this slipper provides trans-seasonal style and warmth…Believe us, your mum will thank you for it!